Hermanus van Brussel – Teylers Museum KS 1992 001. Title: Landscape in Stormy Weather. Date: 1794. Materials: oil on canvas. Dimensions: 70 x 80 cm. Nr. KS 1992.001. 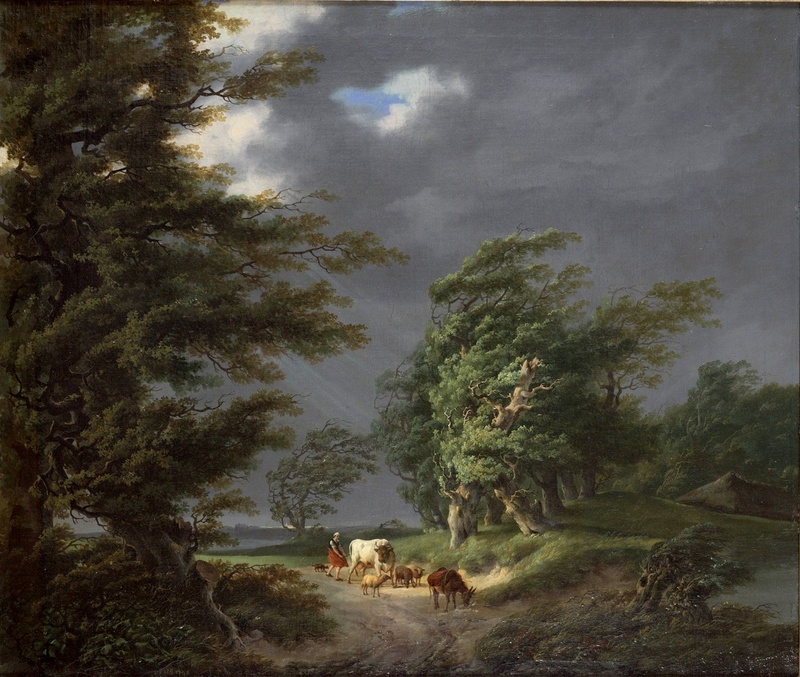 Source: http://www.teylersmuseum.nl/en/collection/art/ks-1992-001-landschap-bij-stormachtig-weer/slideshow/ks-1992-001-jpg/@@images/image/large. I have changed the light and contrast of the original photo.